Individual Counseling is a personal opportunity to improve your quality of life. Working with our trained clinician, we explore who you are, identify your unique needs and develop personalized approaches to establish a balanced and improved quality of life. We conduct the therapeutic counseling sessions in a safe, caring and confidential environment. Individuals of all ages seek counseling for a wide variety of reasons. For example, coping with life challenges and personal trauma or dealing with depression, anxiety or fits of anger. Often times, people seek counseling because they simply have a desire for personal growth and greater self-knowledge. PBC works with individuals on a one-on-one consultative basis. The purpose is to help the individual gain a better appreciation and understanding of themselves and to establish their personal balance. 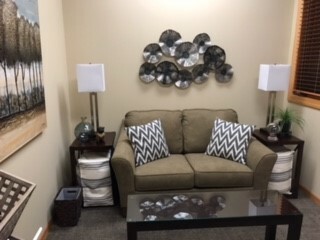 Our approach to individual counseling is straight-forward. You team with our clinician to establish a trusted partnership. Together, we identify a starting point to help overcome the challenges you may be facing and establish a repeatable process for exploring and understanding those challenges. We agree upon your therapeutic goals. As a result, we define the strategies, tasks and skills for overcoming your challenges and achieving your goals. Most importantly, we work together to find your personal balance and improve your quality of life. Finding your personal balance and improving the quality of your life is a continuous and focused effort. Refinement of your goals, constant learning about your self and the skills necessary for managing everyday challenges is a life-long pursuit. Personal Balance Counseling’s mission is to help people find their personal balance!